Idaho Housing and Finance Association is recognized as the lead association in Idaho for housing policy development and coordination among various housing, community, and economic development professionals. A seven-member Board of Commissioners governs the Association with its headquarters in Boise and four branch offices in Coeur d'Alene, Idaho Falls, Lewiston and Twin Falls. Idaho Housing and Finance Association improves lives and strengthens Idaho communities by expanding housing opportunities, building self sufficiency, and fostering economic development. The Association's management and staff have proven expertise in all phases of real estate development, finance, management and tenant support. IHFA's role requires the same skills and capabilities as those of traditional lenders and real estate professionals with the additional task of understanding complex affordable housing regulations. IHFA is a self-supporting corporation that must generate all revenue necessary to cover the cost of its operations. It does this by earning fees for work performed and does not use any state employees or state-appropriated funds for its operations. Home Equity Partnership Foundation Inc.
Idaho Housing and Finance Association is dedicated to its mission and actively seeks innovative solutions to Idaho's housing needs, supports community efforts, and strives to make safe, decent and affordable housing available to all Idahoans. 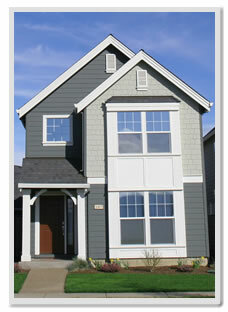 Visit our Web site at www.idahohousing.com to learn more about IHFA and its programs. The housing locator service allows people to locate available housing that best fits their individual and family needs. The service can be accessed online 24 hours a day and is supported by a toll-free, bilingual call center M-F, 7:00 am - 6:00 pm MDT. Individuals can easily search for housing using a wide variety of search criteria with special mapping features and receive apartment listings that provide a multitude of important information about each unit. In addition, the site connects people to other housing resources through website links and provides helpful tools for renters such as an affordability calculator, rental checklist, and renter rights and responsibilities information. The site uses software created by Socialserve.com, a national non-profit provider of housing locator services. Socialserve.com is responsible for maintaining the site and providing toll-free call center support. For additional information, contact Socialserve.com at 1-877-428-8844 or info@socialserve.com.